Are You Feeling Minty Fresh? Here we are on the eve of our first contest heading into the 2012 season. I have faith in our team's leadership, but still don't know what to expect from the team itself. It certainly feels different. It certainly feels minty fresh. 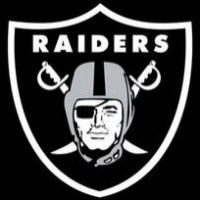 Now it's up to the Michael Huffs of the world to pipe down and step up and jam a can full of Altoids down the eager throat of the Raider Nation. Before commenting, ask yourself: would I say this to someone's face in public? If not, that's a red flag. Too often, in the comments section, we are talking about each other, creating an endless and tiresome loop of meaningless "gotcha" games. It's a new era. Embrace it and enjoy it. This should be fun. If you're not having fun here, that's okay. It's not for everyone. If you're miserable here, seek fun elsewhere. Life is too short. Remember when you watched football as a kid? If you've lost that feeling, try to find it again. I'm speaking to myself as much as I'm speaking to you. A lot of cool things start with the letter "F": fall, football, fun, family, friendship, fairness, faith, fidelity, forgiveness...If you want to drop F-bombs, try one of those.